During my usual lunch hour run at the Cambridge Forum International Food Court, I noticed a new resident at the food court. The empty store (previously Vietnamese) next to Malaysian Hawker has been replaced by Paris Cafe, a stall specialising in cafe-style French food. Think of sweet and savoury crepes and ratatouille. For our first visit during lunch, we shared a Mushroom Crepe and a Roasted Garlic. 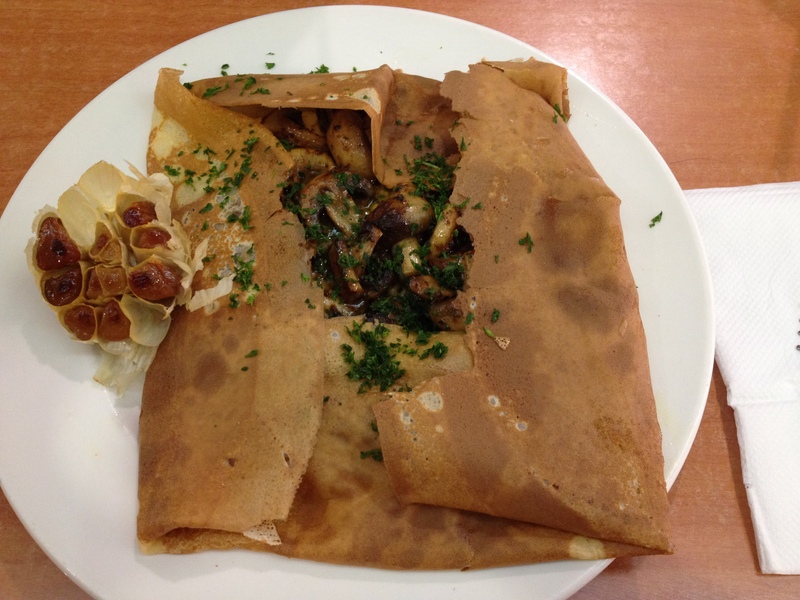 There was a generous amount of mushrooms and the crepe was really fluffy, smooth and delicious. The garlic was also roasted beautifully too! 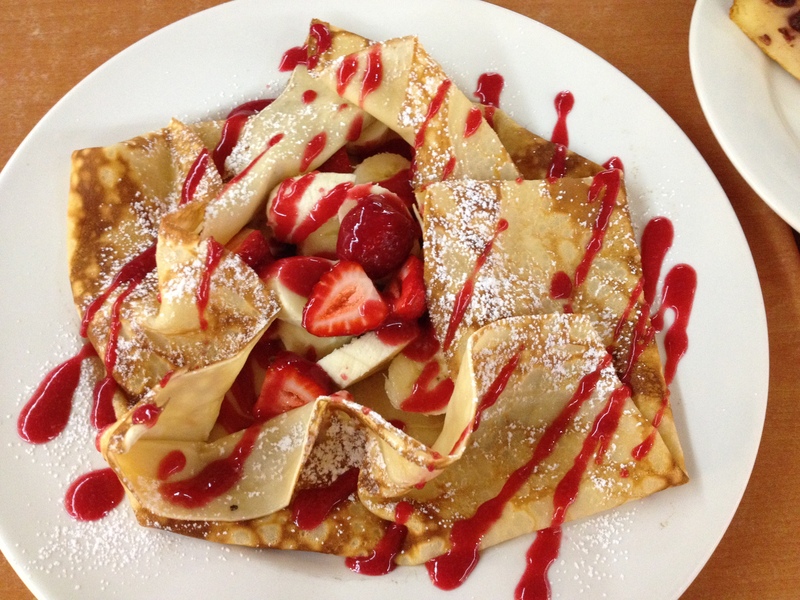 A handy hint- Paris Cafe only serve savoury crepes for lunch but they do serve dessert crepes for both lunch and dinner! We were back again to the food court on a different day for dinner, hoping to get a taste of the Lamb Shank. Unfortunately, we were there for dinner on two different days and by the time we arrived, the Lamb Shanks had run out! That is how popular the Lamb Shanks are! In the end, I had the 200g Scotch Fillet with Salad and Garlic Butter ($15) and dad had the Roast Pork with Apple Sauce ($14). All of the mains are under $20 including the Crepes. The Scotch Fillet was cooked perfectly to medium. 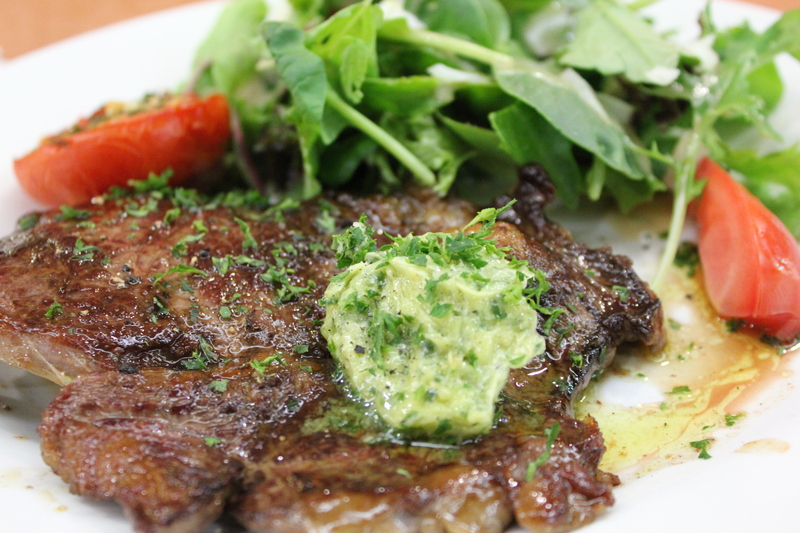 Together with the garlic butter sauce, it gave the scotch fillet an additional flavour. It was delicious and fresh in flavour. I tried the Roast Pork with Apple Sauce and it was as good as the Scotch Fillet too. 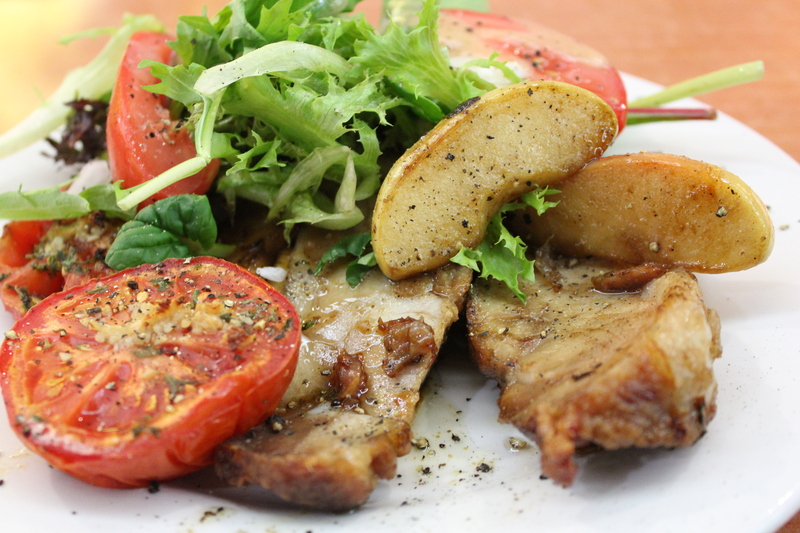 The Roast Pork was not too dry and it was very tender. Together with a drizzle of apple sauce, it was full of flavour. For dessert, we had the Strawberry and Banana Crepe with Raspberry Sauce ($9) and Honey Lemon Crepe ($5). 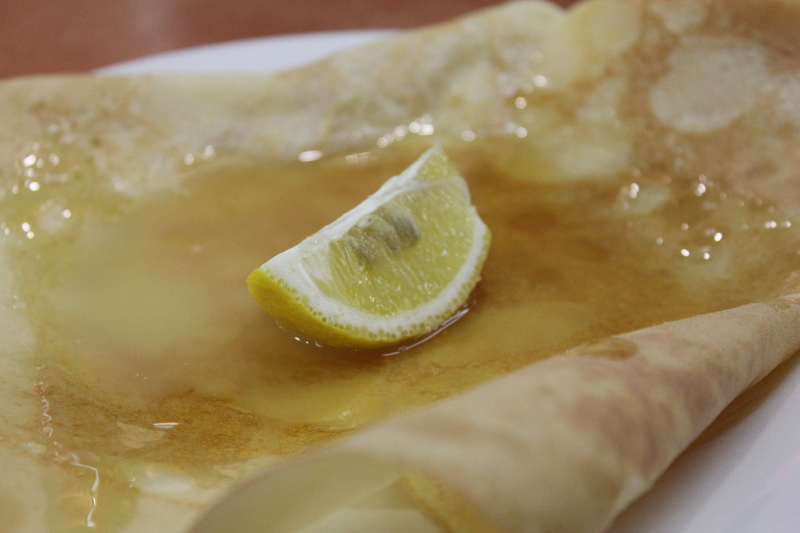 Just like the savoury crepe, the dessert crepes were lovely. They way the crepes were folded were like a piece of art, with precision, love and care put into making a crepe. 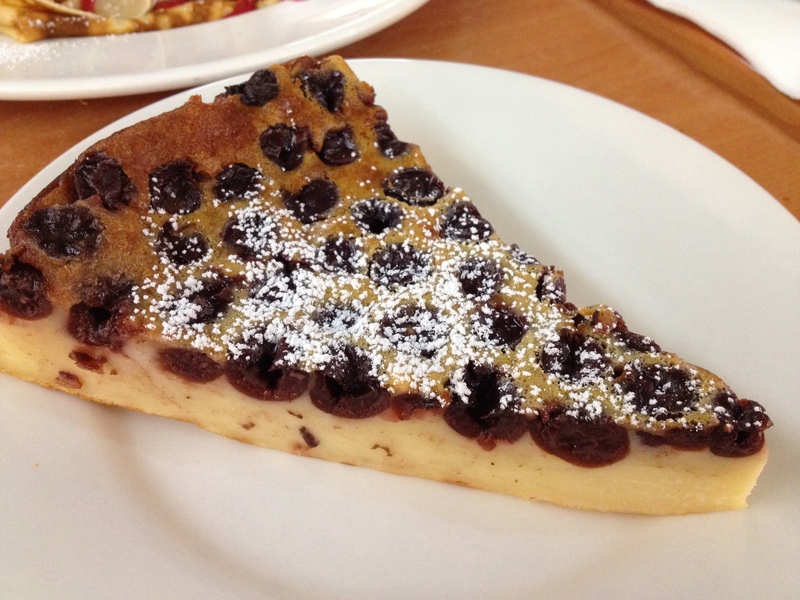 From time to time, Paris Cafe offers desserts ($5) on their bain marie. 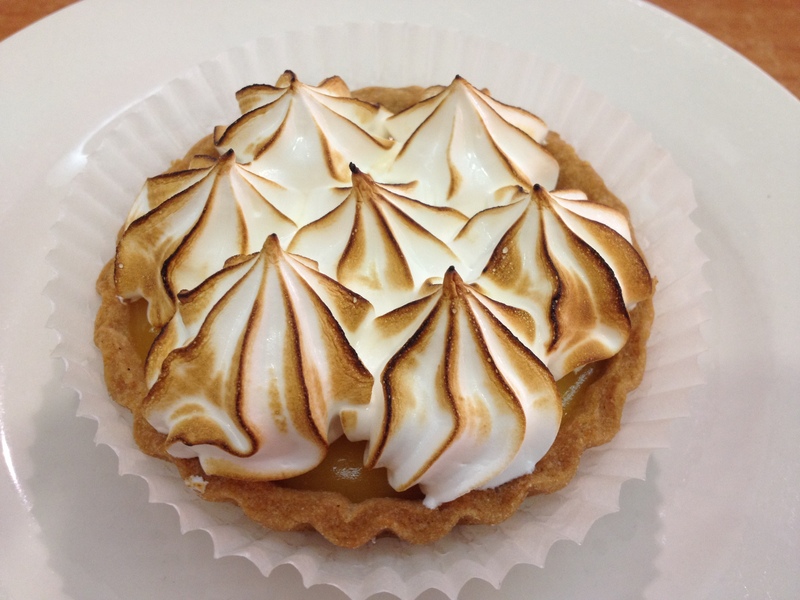 So far I have tried the Lemon Meringue and Clafoutti and they were really good! Yes, they run out quickly too! Please do check out the Paris Cafe stall, which is located next to Malaysian Hawker for authentic, delicious, cafe-style French food. Oh and be sure to be there early in the evening for the Lamb Shanks with Mash because they sell quickly! Who can say no to reasonably priced and delicious French food?